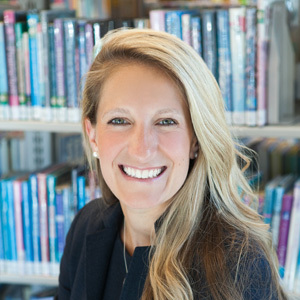 Tiffany Kuehner is the President and CEO of Book Trust. Follow them on Facebook, Twitter, Instagram, LinkedIn and YouTube and learn more at booktrust.org. I have the privilege of helping young children in need discover their innate love of reading and learning. Book Trust provides elementary school children from low-income households with an opportunity to fall in love with reading by selecting a couple of books every month of the school year, solely based on their own interests. With these books, teachers can support engaged reading time, and reading growth for their students. Every Book Trust student that achieves grade level reading by the end of third grade is seven times less likely to drop out of high school. The short yet ambitious answer is that we believe we can disrupt generational poverty through education. But also, because helping kids discover the joy and love of reading is one of the most amazing things we can do. Book Trust schools are very happy places! We hear from teachers almost daily about the “magic” of book choice and ownership – that it makes an incredible difference in a child’s life, and in how they view themselves as readers and students. But we also conduct annual evaluations of our program, and recent data show that kids in Book Trust schools make greater gains in reading level than non-Book Trust students (19% vs. 4% in a single year). We believe we’re helping to raise readers, learners and future leaders. The kids, of course! But also their amazing, passionate, dedicated, selfless teachers, who truly do everything in their power to help their students achieve success, in all its many forms. We tend to dream big at Book Trust, and considering that there are 16 million kids in the U.S. living in poverty, we’ve got a long way to go to serve all who could benefit from our program. But, ultimately, we’d love for there to no longer be a need. That would mean that every child has access to books, that they all have the opportunity to fall in love with reading and become lifelong learners. Again, the simple yet ambitious answer is more support and partnership. We actually have a pretty solid model that calls for strong alignment among school districts, community partners and Book Trust. We call it our Mission Financing Partnership Framework, and in it we all work together to prioritize early literacy because we know that effective literacy interventions, especially in grades K-3, can reduce the need for academic support in higher grades, and help get kids on track to graduate high school. What we look for is that alignment of priorities, but it takes time and resources to raise our profile and identify those strong partnerships that can move the mission forward. A lack of literacy and the cycle of generational poverty are inextricably linked. I think our biggest challenge is bringing awareness about our program and its role and impact in being a critical part of the solution. We constantly strive to measure and improve our outcomes so that we can communicate the transformational impact we have not only on kids today, but as future community members and leaders. Come to a Feed the Read celebration and see Book Trust in action! I guarantee you’ll experience the magic I’ve been talking about through a child’s eyes. Visit our website events page to find a school celebration near you, or simply make a donation. Just $100 will provide a year’s worth of book choices for one of our students.